Skylights can be an excellent way to bring more light into a room, however, it is essential you have skylight blinds fitted, too, so as to control the admittance of light and heat. Whether you have a loft conversion bedroom in need of stylish, blackout Velux blinds, or your kitchen extension requires rooflight blinds to reduce heat gain, Humberside Sunblinds can help. We have a wonderful range of blinds for skylights, covering different blind types, styles, and finishes, ensuring there is something to suit any home. Our experienced and skilled team can offer free home visits to help you select the best blinds for your home and measure up your window space. 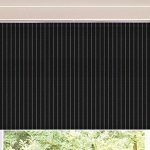 Once you’ve chosen the perfect blind, our talented fitters can offer a high quality installation service, making sure your new blind works perfectly. 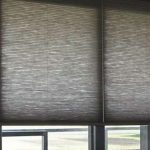 For more information about any of our blinds, don’t hesitate to get in touch with our friendly team. We serve clients throughout Grimsby, Cleethorpes and the wider Lincolnshire region.